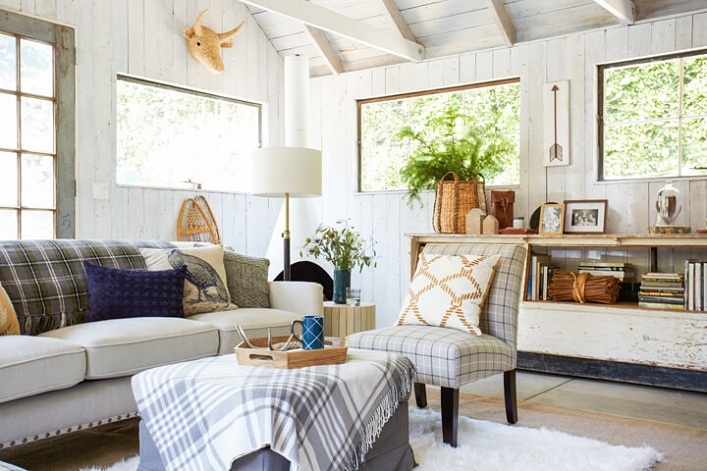 This incredibly cozy cabin is designed by the talented Emily Henderson using mainly Target products. 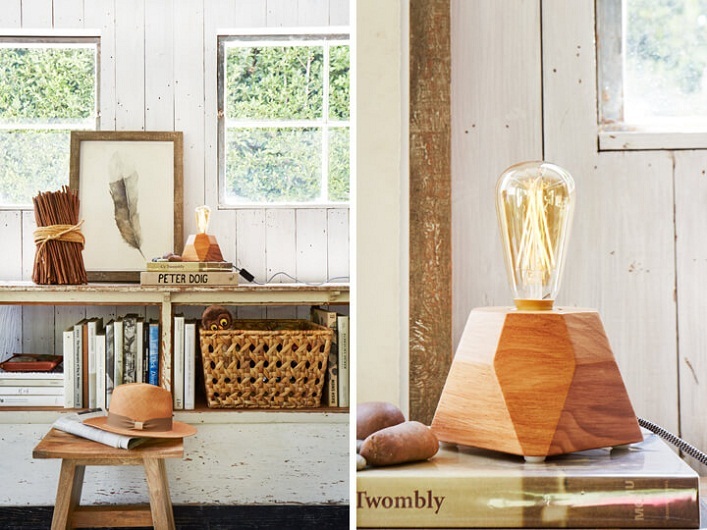 The room feels warm, fresh and charming, thanks to a combination of lovely plaids, wood elements, lots of neutrals and modern accents. Metallics and playful accents create an added layer of visual interest. 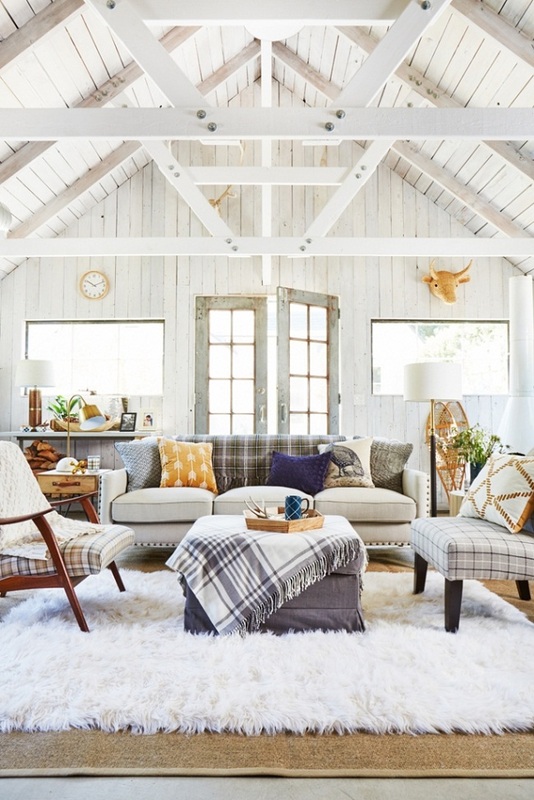 I really love how Emily soften the rustic cabin with white paint, plenty of throws and pillows and a large fluffy area rug. The gorgeous architecture detail and ceiling beams are the cherry on the top in this amazing space. 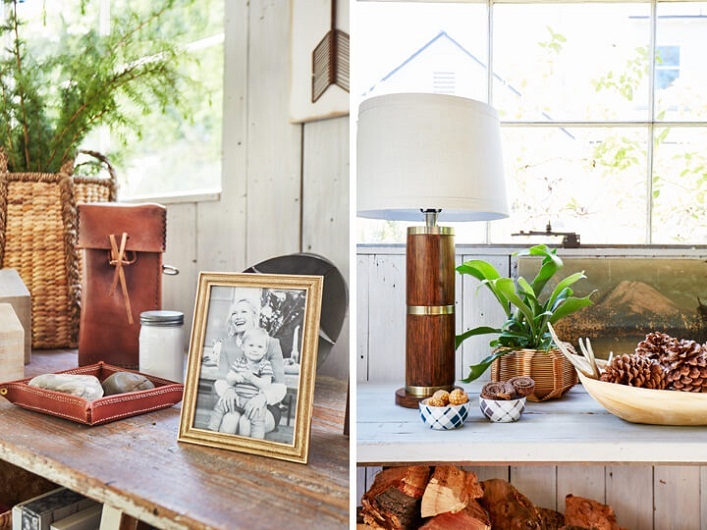 Such a fabulously chic, delightful and inspirational interior, what's not to love? Your thoughts?